I’d like to welcome you to our Value in Value roadshow. Value investing has been out of favour with investors for some time, but during 2016 we saw a rotation in investor sentiment towards previously unloved areas of the market. Of course, as long-term value investors we have had to be patient over the last few years and stick to our investment approach. At times it can be a very lonely place to be, but over time value investing has been a rewarding strategy for investors. During the events I hope to be able to share with you the latest themes running through our portfolios and my thoughts on the current macro environment. I hope you can join us at your nearest venue. Alastair Mundy grew up in East London convinced he would be the first British Wimbledon Men’s Singles Champion since Fred Perry. For reasons best known to him he studied Actuarial Science at City University London, but after battling his way through the course decided actuarial work was far too boring. 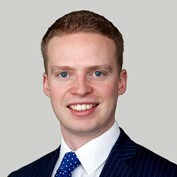 Alastair’s first job in the real world was a brief stint analysing British government debt which drove him to find a position as an equity analyst. 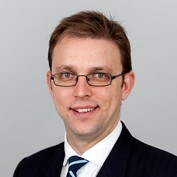 Alastair is now Head of the Value team at Investec Asset Management having joined in 2000 from Morley Fund Management. 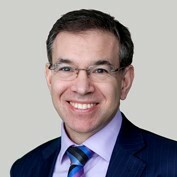 He manages a number of funds including the Investec Cautious Managed Fund and the Investec UK Special Situations Fund. He also manages the Temple Bar Investment Trust. He is married with three children and remains committed to mastering his second serve. Alex is a sales manager within the UK Client Group at Investec Asset Management, with a focus on strategic partnerships and adviser relations in the South East and South West. He joined the firm in 2012 initially as a proposal specialist before joining the Strategic Partnerships team in the UK Client Group. Prior to joining the firm, Alex worked at Amundi Asset Management where he worked as a middle office analyst specialising in FX before managing the middle office trade processing team. Alex graduated from the University of Brighton with a degree in International Finance and Capital Market Studies. Alex also holds the Investment Administration Qualification (IAQ), Investment Management Certificate (IMC) and is studying towards a Diploma in Financial Planning. Denis is the sales director for the South within the UK Client Group at Investec Asset Management. He is responsible for supporting discretionary asset managers, top end advisory clients, stockbrokers and regional life company clients. Prior to joining Investec Asset Management, he worked at Morgan Stanley within the client relations team. Denis graduated from the University of Cape Town in South Africa with a Bachelor of Business Science (Hons.) degree in Finance. He also holds the Investment Management Certificate (IMC). Tommy is a sales manager within the UK Client Group at Investec Asset Management, focusing on strategic partnerships. 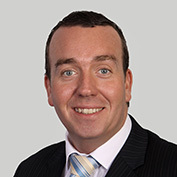 Tommy originally joined Investec Asset Management in 1998 working within the investor services team. Prior to joining the firm, Tommy worked in a call centre at IFDS, which is now the third party administrators for the OEIC fund range. Jon is the sales manager for the North of England within the UK Client Group at Investec Asset Management. He is responsible for supporting discretionary wealth managers and stock brokers as well as regional IFA clients. Prior to joining Investec Asset Management in 2015, Jon worked at MetLife as business development manager supporting IFAs in North West of England. Jon has also worked for Living Time as regional account director for the North specialising in the fixed term drawdown market. Rodger is the sales director for London within the UK Client Group at Investec Asset Management. He is responsible for distribution to discretionary wealth managers and stock brokers as well as multi managers and private banks. 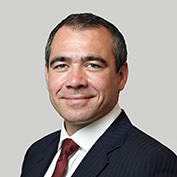 Prior to joining Investec Asset Management in 2001, Rodger began his career in the financial services industry in 1997 with Bell Lawrie in Edinburgh where he trained as a stockbroker. Charles is a sales manager for London within the UK Client Group at Investec Asset Management. He is responsible for supporting discretionary wealth managers, stock brokers and private banks. 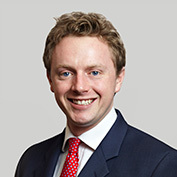 Prior to joining the firm, Charles worked at Henderson Global Investors within the London discretionary client team having originally joined Gartmore as a sales associate. He began his career at Standard Life Investments within the graduate training programme. Charles graduated from Heriot Watt University in Edinburgh with a first class honours degree in Business and Finance. Each of the funds within our Value investment capability aims for long-term capital growth using a value-driven, or contrarian approach. The contrarian approach seeks to isolate opportunities suffering from poor market sentiment and then rigorously researches them to identify our high conviction investment opportunities. 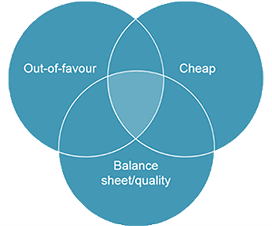 The Value team employs a disciplined investment process, making long-term investments in cheap, out-of-favour companies with appropriate balance sheets. 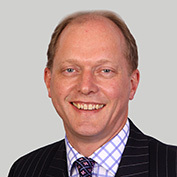 Headed up by Alastair Mundy, the team comprises 9 investment professionals managing over £6.4 billion in assets. * By staying true to their long-term, contrarian, value investment philosophy, the Value team has risen to challenges posed by 2016 by delivering top quartile performance across a range of funds. Managed using a contrarian/value approach, it blends undervalued, out-of-favour equities with complementary assets, seeking to dampen volatility and provide attractive risk-adjusted returns.‡ The Funds simple, transparent and proven approach has successfully steered it through many challenging environments. A value-driven, contrarian Fund that aims to provide investors with attractive long-term returns by investing in undervalued, out-of-favour equities with future growth potential. The Fund could be ideal to blend with other UK equity funds which adopt different investment styles, as part of an overall equity portfolio.